A friend, Jeff, emailed this photo to me wondering about the botanical name (which he found for himself before I had read his email.) 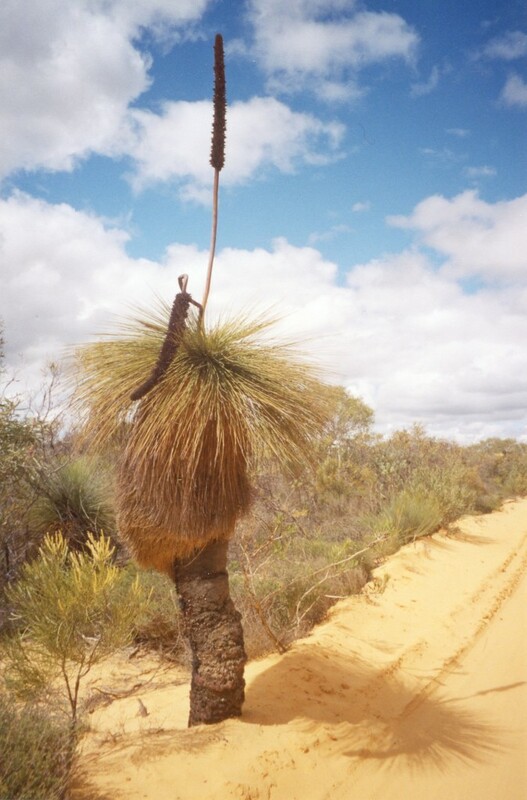 He said the photo was taken at Kalbarri in WA so I thought it probably was specifically Xanthorrhoea priessii when I looked up a reference. Then I realised that I had called the trunkless species by this name in a previous post. Investigating this I realised that the trunkless species is Xanthorrhoea gracilis which grows around Perth, Western Australia. It seems that they are all probably frost hardy. The trunk on a Xanthorrhoea is called a caudex. I will show the reason for Jeff’s enquiry later! You are currently browsing the archives for the Kangaroo Paws And Other Tufted Plants category.